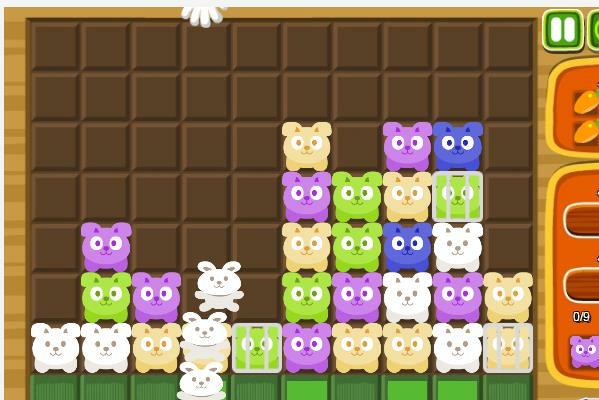 Match 3 Rabbits is a colorful and fun Online Game, Go Play. Grab and match three rabbits in the same color in a horizontally or vertically row. To finish each level you need to remove as many rabbits in each color as indicated in the right bottom corner.